Needless to say, I know I’m not the only one who has been busy. We all wear many hats & juggle a lot of things from day-to-day our wardrobe needs to have go-to items that operate and mix fluidly. That’s why I love leather joggers. 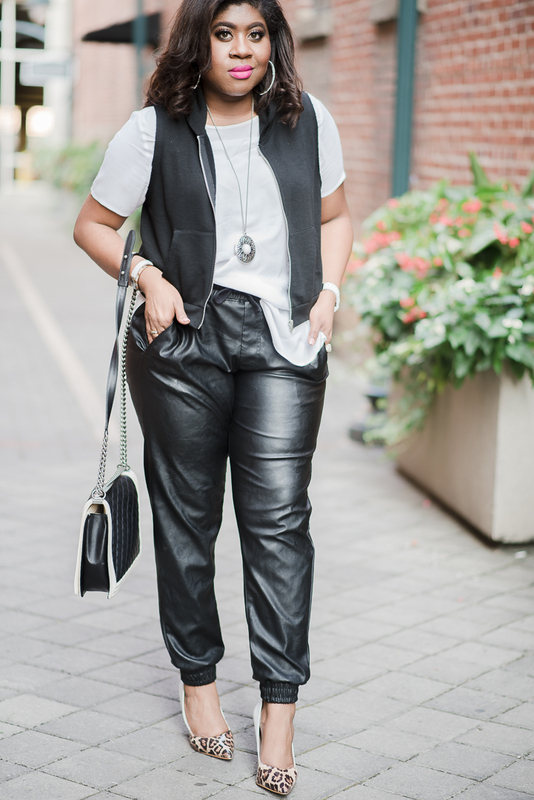 Yep, you heard it right, leather joggers! They are my new favorite piece to pair with pretty much anything from hoodies to blazers. They are so versatile, comfortable and stylish. 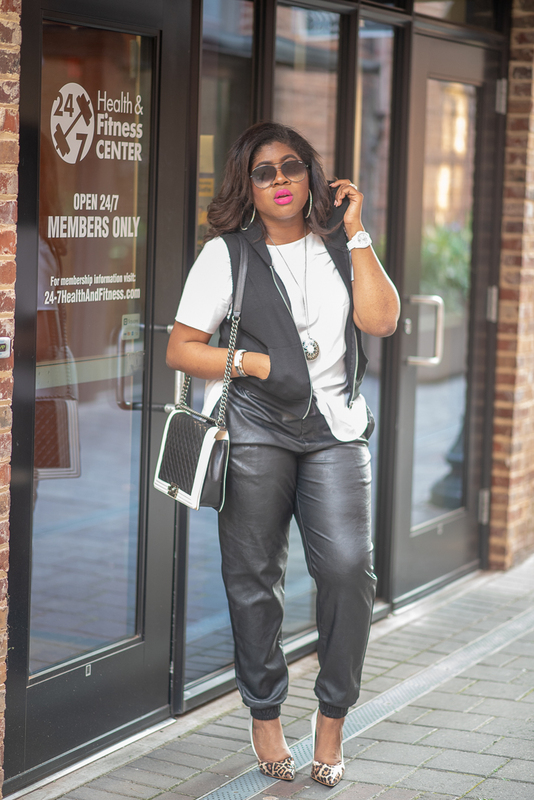 Joggers fall under the Athleisure trend– the art of mixing and wearing athletic pieces like leggings, hoodies, and sweatpants with pieces typically designed for workwear such as blazers and blouses. Joggers are the nouveau sweatpants but designers are now making them in more luxurious fabrics that make them easier to incorporate into your wardrobe. 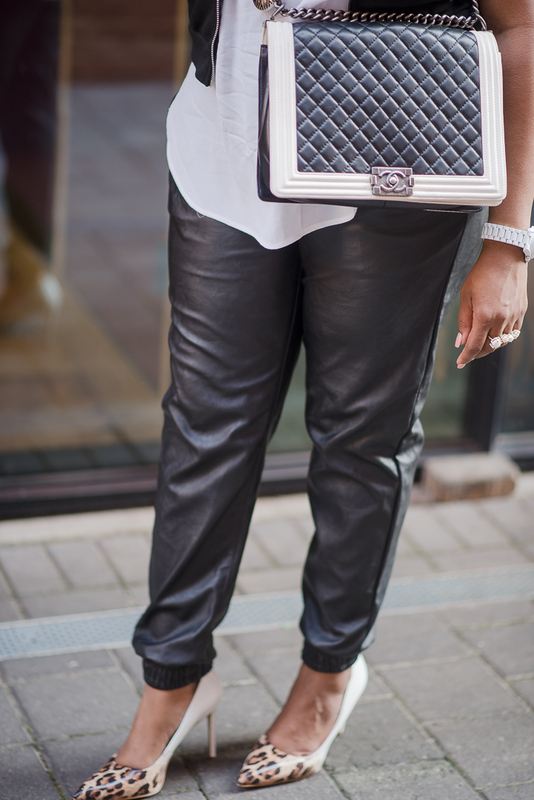 I love the jogger trend and when I found this leather pair, I instantly loved them. 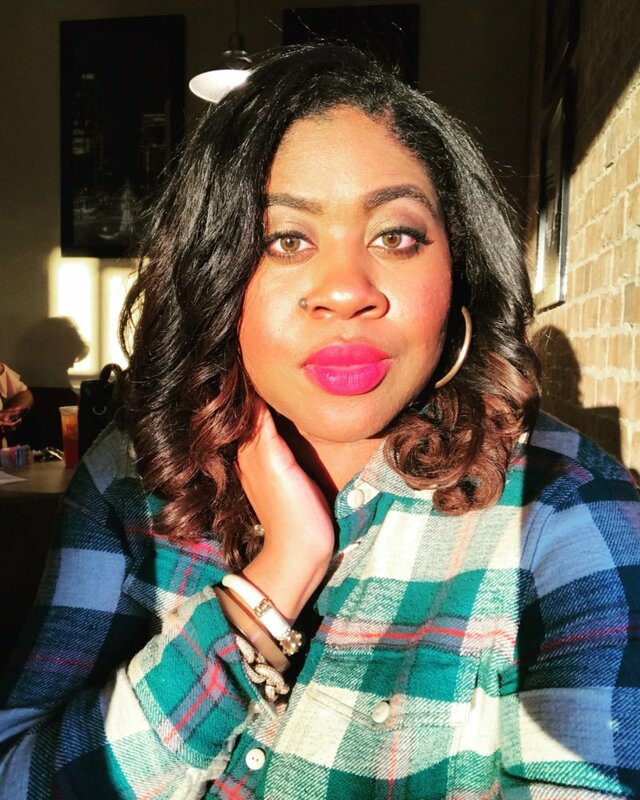 As a stylist, this item speaks to me because I’m all about assisting my clients with creating or elevating their own personal style. 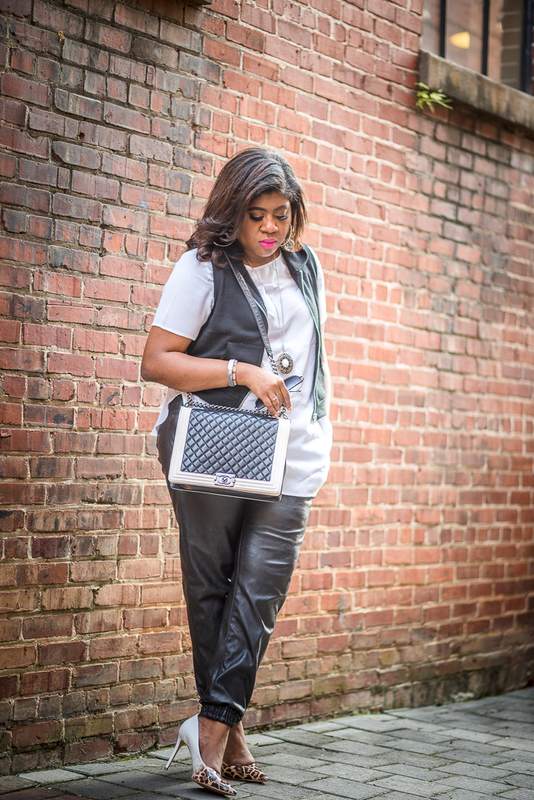 The goal is to create a wardrobe that is cohesive and versatile. 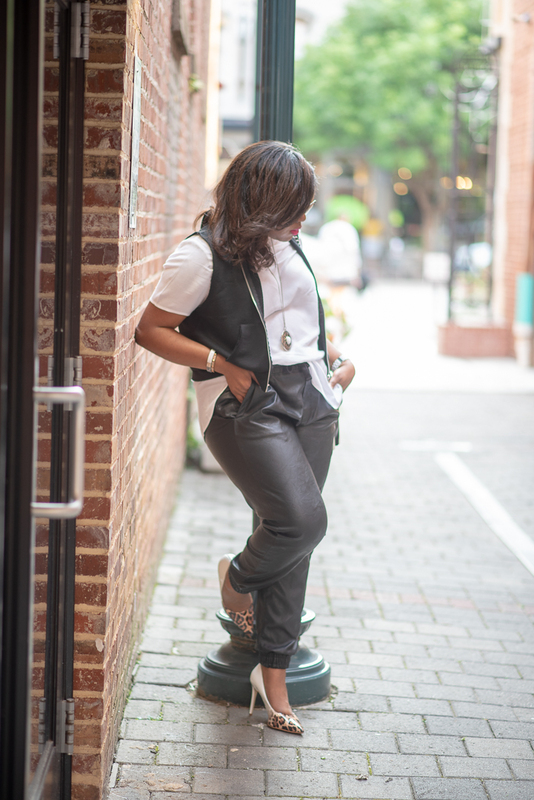 I love mixing high and low looks, meaning mixing luxury with everyday items- which is how I found these joggers. 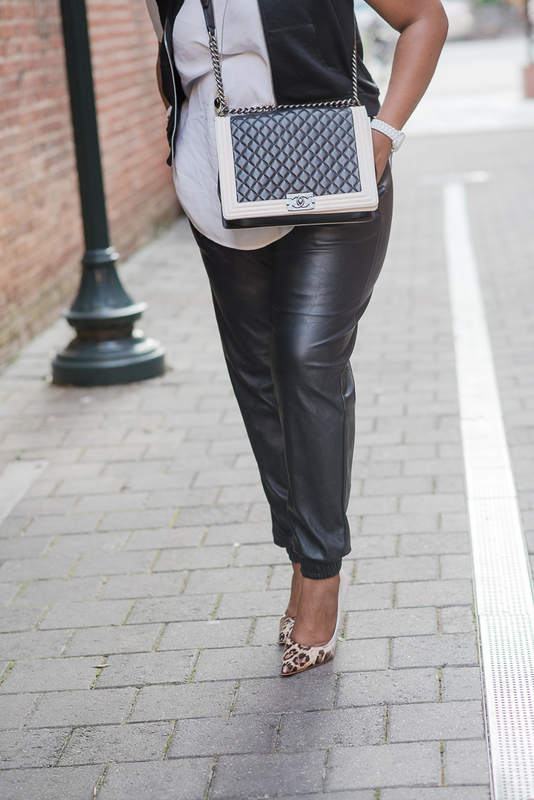 I was thrifting at Styled by Naida, and found these gems! Let’s chat about how-to style these beauties! 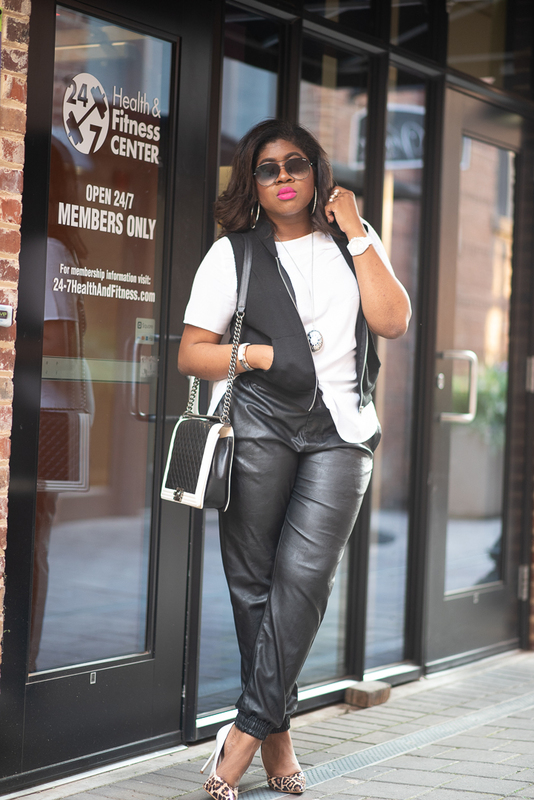 So for starters, I’m a leather lover– it’s one of my favorite fabrics & I have quite a few leather and faux leather items in my wardrobe. 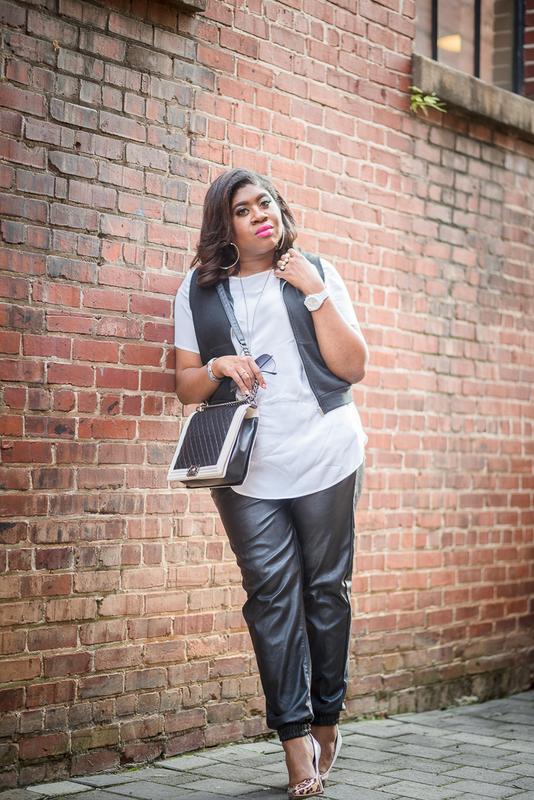 However, this was my first time styling leather joggers! So I put a little thought into the vibe I wanted to create with these beauties. After some thought and a trip to Forever21 Nordstrom rack, my vision was fulfilled lol. Fun Fact ladies, this is the EXACT outfit that I wore to the Beyonce concert (when she came to Columbia, South Carolina)! It was everything. For the concert, I knew I wanted it to exude a certain amount of Cool girl Chic! So I paired these joggers (thrifted) with this high-low top from H&M, these hoop earrings & Forever21 hoodie ( to add a little edge), my Chanel boy bag, and I can’t forget the pumps! Unfortunately, mine heels are no longer available but these pumps are great)! 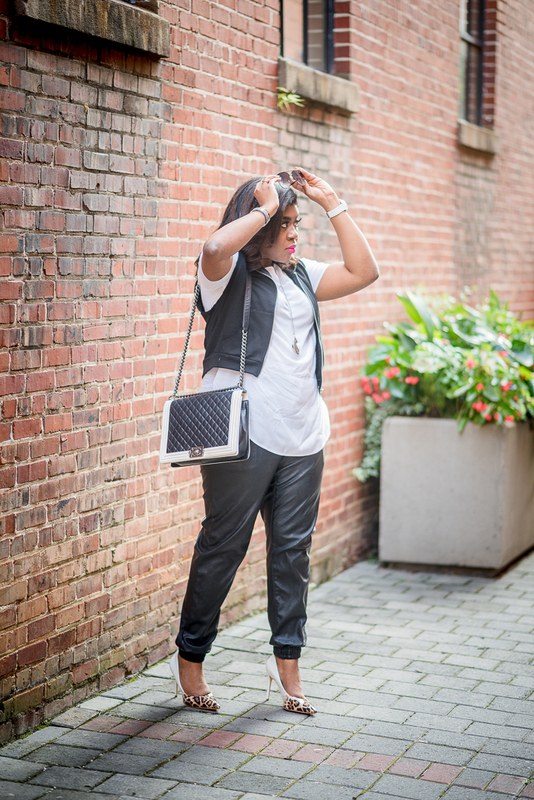 Honey, this outfit is super simple but I received so many compliments, not to mention it…was…comfortable! 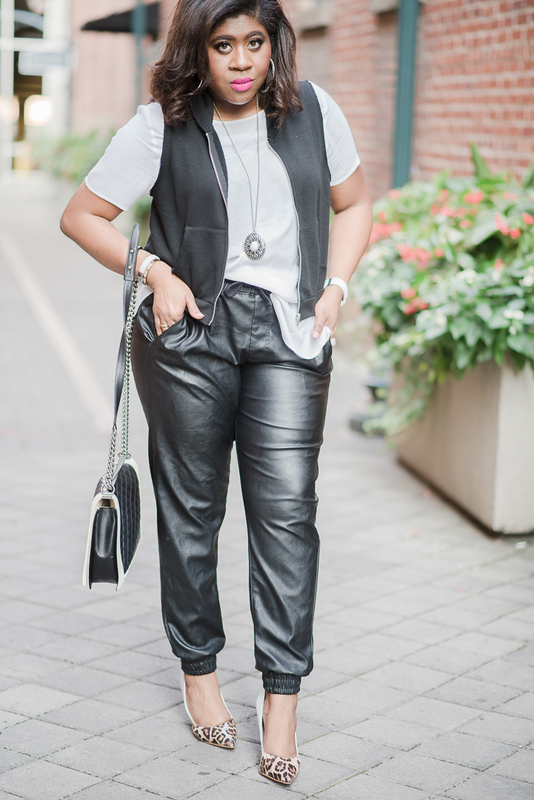 Styling leather joggers is actually quite simple, not just with the items I used above, but also with blazers, blouses, etc. If you’ve watched my stories & “Style Tips” highlights on Instagram, then you know I love showing you all how to wear 1 item 3 ways #versatilityiskey. So…. Option #2 is Pairing this with a “workwear” blazer like this one (my fav) with your favorite pointy toe pumps like these, and sleeveless top like this one. Option #3 is pairing the joggers with a Camo tee, Sweater, or Jacket. I love this look because it has “military-esque” vibes and the camo trend is really big AGAIN this year. 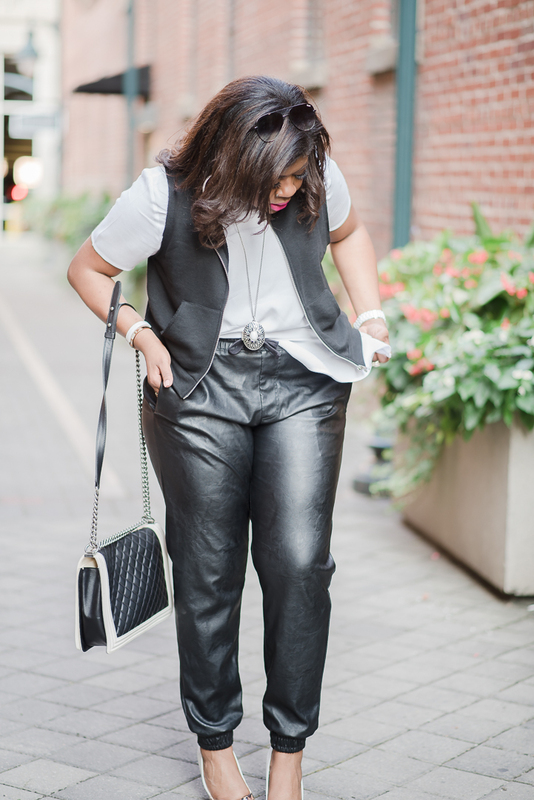 I’ve added a few of my favorite Leather Joggers below so you can SHOP THE LOOK! I hope you end up loving this trend as much as I do! 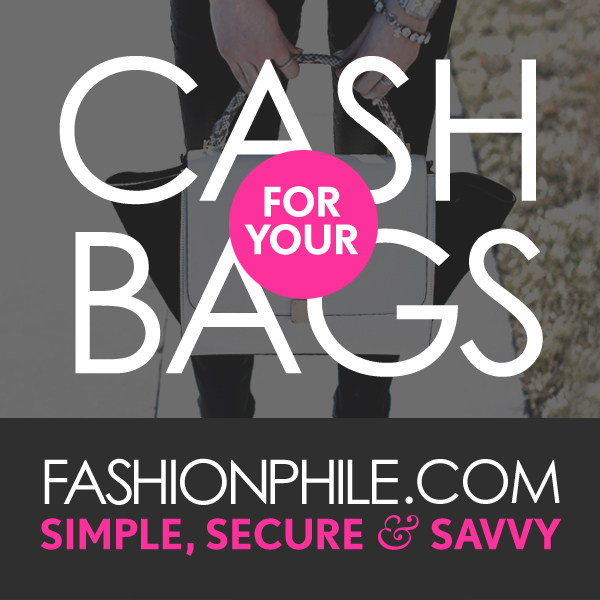 Ooo & don’t forget to tag me (#prissyinspo) in your photos if you create an outfit inspired by this post. I would love to see it!